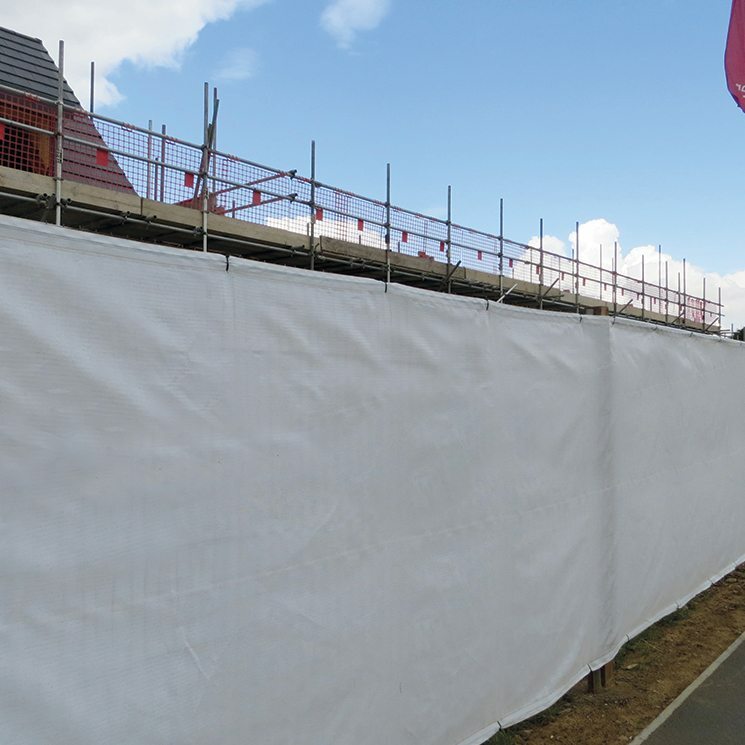 A more open weave than filter sheeting, Vented Sheeting provides higher air permeability. It is used to dry out interior works and disperse paint solvents and air pressure during stone cleaning or shot-blasting. it is also suitable as perimeter mesh fencing as it reduces wind forces on the fence. Also available in black for outdoor events and can be printed for corporate branding.